It’s a huge relief for parents when they’re allowed to bring their premature baby home, but saying goodbye to the round the clock hospital care can also be quite nerve wracking. To help make the transition smoother, here are all the extra items and safety checks you should add to your to-do list. Many premature babies are so tiny they won’t fit into standard newborn sized onesies and nappies, so you may need to put all of your pre-bought stuff aside until they’re big enough to wear them (around 3kg) and go shopping for some smaller items instead. Go online to shop or get a family member to help by purchasing some for you before you leave the hospital so you’re fully stocked. If your premmie is particularly tiny, your car seat might not be safe enough for them to use. 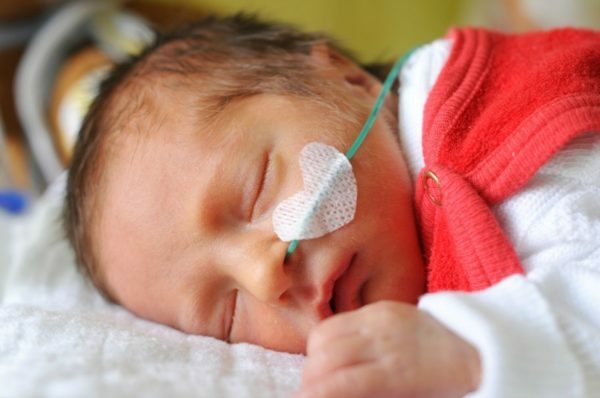 Premature babies often have breathing issues and are at greater risk of SIDS. Their necks are also smaller and weaker, so if the baby seat is too upright their head could drop forwards and cause them to suffocate. All premmies should be placed in car seats that are in the most pushed back position possible. The best thing to do is check with the hospital before you leave to ensure your car seat is safe and appropriate for your little one. Keep the cot or bassinet free of toys, pillows and heavy blankets. Place your baby on their back when going to sleep. In hospital they may have gotten used to being on their side or tummy, which was okay with 24 hour monitoring but not once you take them home. Do not co-sleep but keep them close by in your room for the first six months. Monitor the room temperature carefully to ensure it doesn’t get too hot. If you don’t already have a thermostat it’s a good idea to get one. Dress them warmly in a good swaddle or safe sleeping bag rather than turning up the heater, as premmies can have a harder time regulating their body temperature. Consider using a dummy until the age of one, which has recently been proven to help reduce the risk of SIDS. Don’t leave your baby to sleep in a car seat or bouncer that is upright. Premature babies have a weaker immune system than full term bubs so it’s recommended to breastfeed when possible. A breast pump can help stimulate milk flow for better feeding, and allow closer management of how much milk your baby is getting. Bottle-fed babies are usually given a special formula with extra nutrients that’s easier to digest while they’re in hospital, but by the time they come home they should be able to take regular formula. Premmies may require bottles with smaller teats to help reduce the amount of air taken in when feeding, which could otherwise exacerbate any existing breathing conditions. Ask the hospital staff for recommendations or your local pharmacist. One way health professionals can tell if your bub is thriving is by checking their weight each week, as it’s an indicator of how much they’re growing and developing. It’s important not to obsess over every milligram, however, if you do want to monitor their weight carefully then consider hiring or purchasing a set of baby scales. Given your baby was born premature you can expect to have more midwife visits and doctor’s appointments than normal to check on the progress of your little one. Especially if your baby has developed a condition or health issue as a result of being premature. So be sure to ask for help from family and friends around the house and things like cooking meals to help lighten your load. Both skin-to-skin contact (also known as Kangaroo Care) and baby massage have been proven to help babies grow stronger, be more content, fight off illness and sleep better. As if you needed another reason to give your precious bub more cuddles! Just be careful with hugs and kisses from visiting family and friends who may be ill as your premmie will be more susceptible to getting sick. Massage is a great way to bond with your baby too, so purchase some gentle baby massage oil and try giving them a little massage a couple of times a day. Before you know it they’ll be back on track and bursting with health. Did you have a premature baby? What things did you prepare for them at home? Tell us on Facebook.